Learn techniques for improvisation with "the pre-eminent jazz violinist of his generation," Zach Brock. In this workshop, Brock will discuss string-specific strategies for assimilating new harmonic and melodic vocabulary across the entire instrument as well as non-traditional bow techniques that are useful for playing swing and "pocket" time feel. This class is suitable for any string player who has developed the ability to shift up and down the neck of their instrument, can pull a straight bow, and is interested in developing an approach for more advanced improvisation. 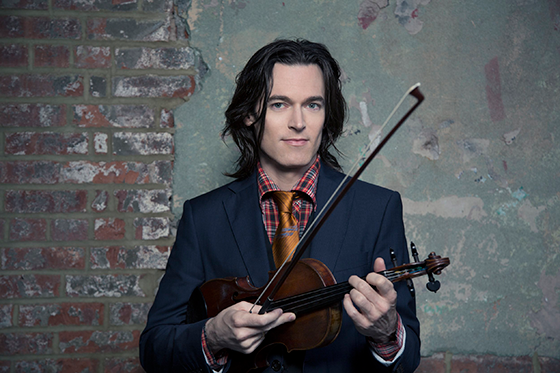 Heralded as “the pre-eminent improvising violinist of his generation,” Zach Brock is an violinist and composer whose music draws on the traditions of jazz, classical, world, and popular music. Zach received his first Grammy Award in 2017 for his work on Snarky Puppy’s album Culcha Vulcha and Downbeat Magazine named him the 'Rising star Violinist' of 2013. His acclaim as a bandleader has grown through appearances at venues such as Carnegie Hall and festivals like “Tudo é Jazz” in Brazil, while his reputation as a sideman has spread through his work with legendary bassist Stanley Clarke, contemporary instrumental super-group Snarky Puppy, and jazz masters Phil Markowitz and Dave Liebman. Zach has made ten recordings as a leader or co-leader and is the first violinist to record for the venerable Dutch jazz label Criss Cross. Zach has also represented the U.S. Department of State as a Musical Ambassador in the Solomon Islands, has performed as a featured soloist for two Sundance Festival feature film scores, and is currently an “Artist In Residence” at Temple University in Philadelphia. Enroll for immediate access to the 69-minute class recording. After enrolling, you can watch this class anytime by logging in to your Lessonface account.